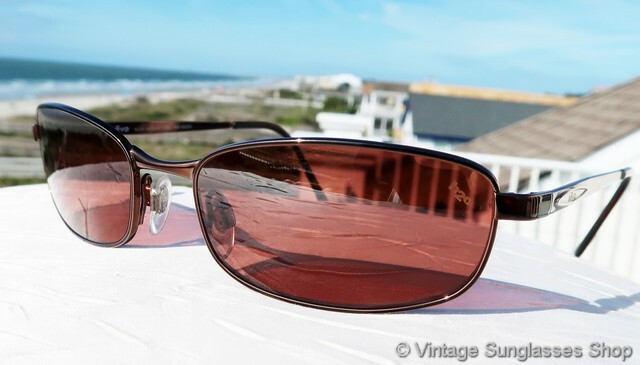 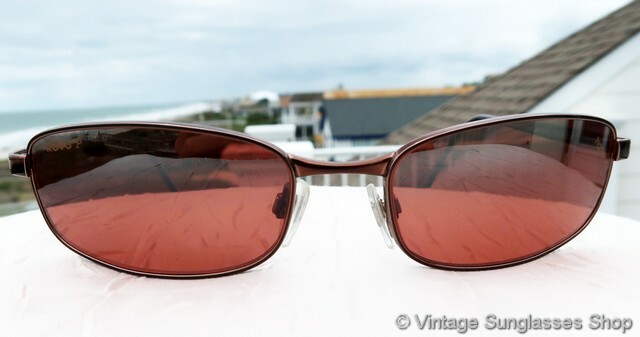 Vintage Revo 3040 093 K1 H20 polarized sunglasses feature a gleaming copper Italian frame and rose tinted and gradient mirrored Revo P H20 polarized lenses. 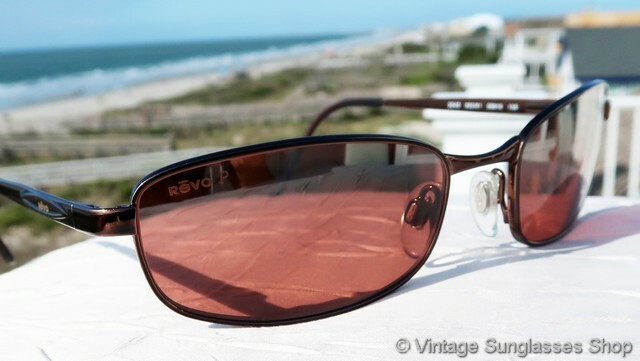 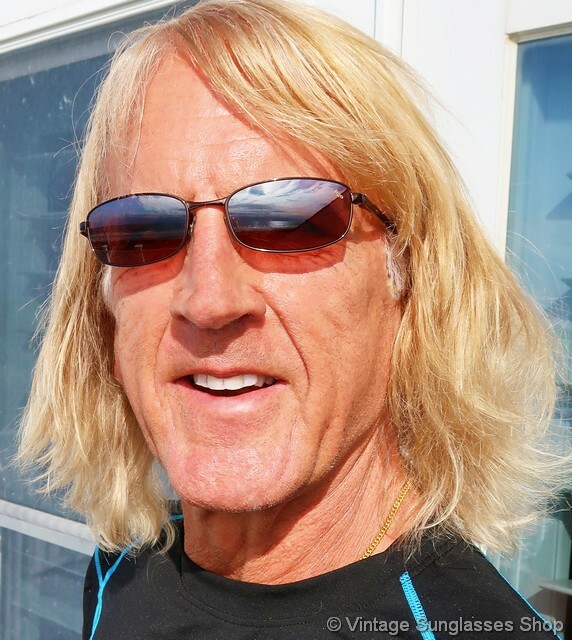 Revo 3040 sunglasses are a very popular style of sunglasses for men and women, and the 3040 093 K1 was a low production variation that's very tough to find. 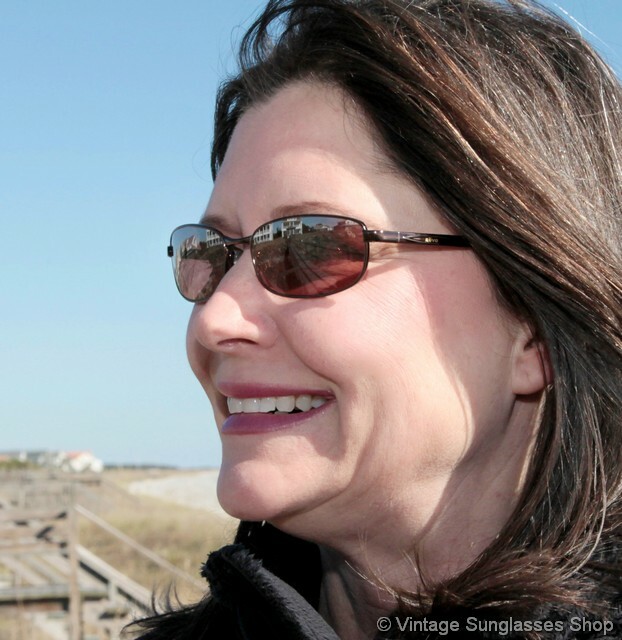 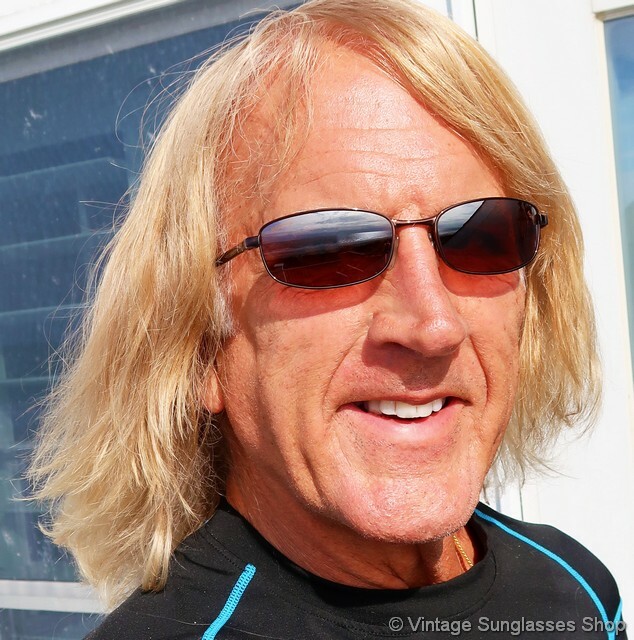 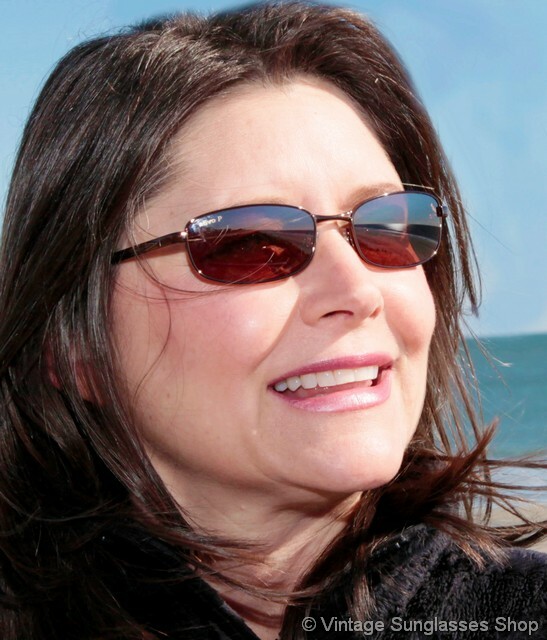 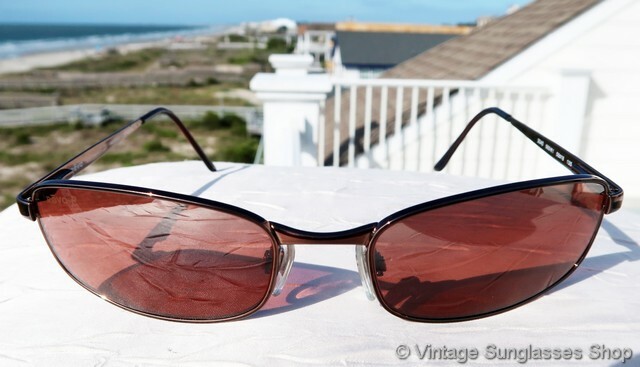 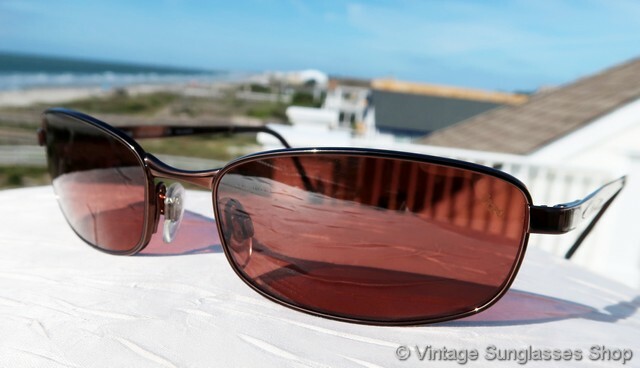 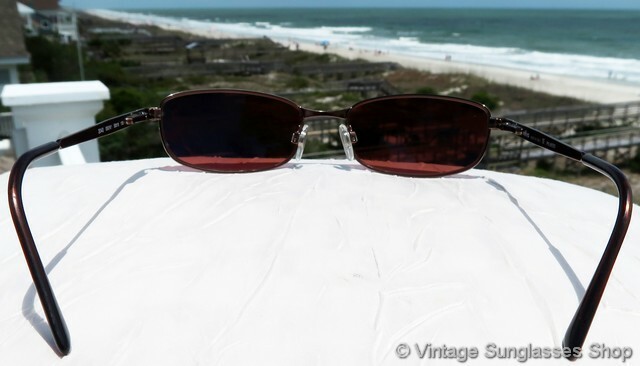 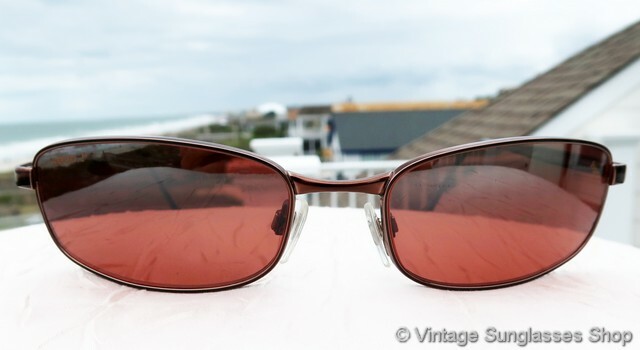 The mirrored lenses have a degree of gradient to them which is useful when wearing in changing light conditions, and the rear of the lens has a rose tinted coating that is reminiscent of the lenses in vintage Serengeti sunglasses made by Corning Optics. 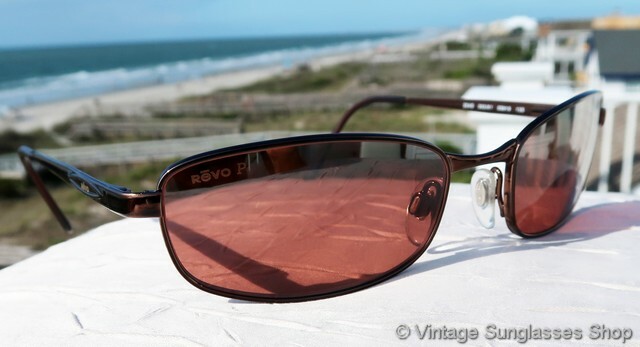 The frame measures approximately 5.25" temple to temple, and the lenses measure approximately 2.125" x 1.125" at the widest points with the right lens laser etched Revo P and the left lens laser etched H20 to indicate Revo's advanced polarization. 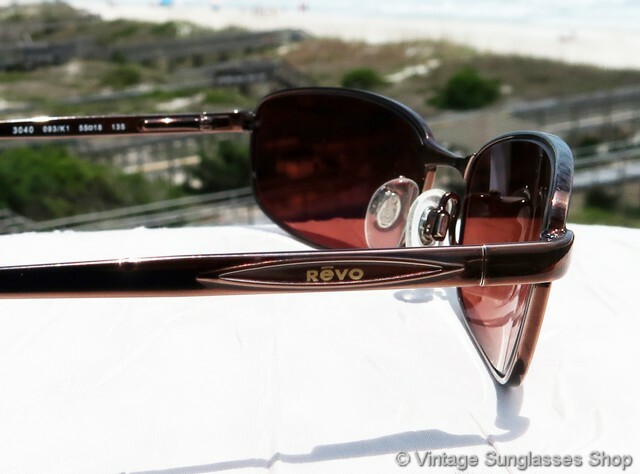 We really like the way the Revo logo is integrated into the design impressed in the metal of the ear stems near the spring loaded hinges, and the inside of one stem is marked Revo Made in Italy CE Polarized while the inside of the other stem is marked 3040 093/K1 55  18 135, part of a major west coast collection of fine vintage Revos c late 1980s / early 1990s.